Inheriting the advantages of icare kit, automatic on/off, transparent e-liquid Level, three-color battery LED, 1.1ohm IC heads, but this icare mini is tinier and cuter than ever. Want the tiniest and simple- to-use e-cigarette kit? Here comes with the icare mini kit with PCC power bank. This icare mini kit is for vapers to use higher strength e-liquid. It inherits the advantages of icare kit, transparent e-liquid Level, three-color battery LED, 1.1ohm IC heads, but this icare mini is tinier and cuter than ever. Through it has 320mah battery capacity, but it comes with 2300mAh power bank so that you can charge it anywhere anytime you want. 5 colors. Take a puff directly. When vaping, the indicator light stays lit. When the battery level is between 100% - 16%, the indicator light is green; when the battery level is between 15% - 6%, the indicator is yellow; when the battery level is no higher than 5%, the indicator light is red. 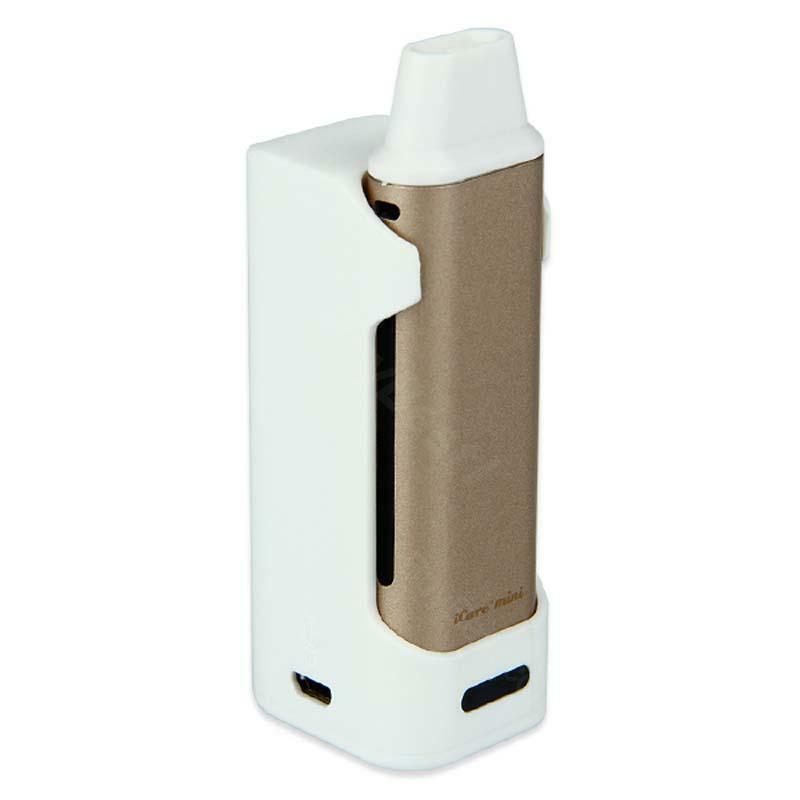 • The 320mAh battery supports about 160 puffs. Please take the PCC with you for longer time vaping. Good little devices until the air valve goes, until then, a brilliant little hi-nic stealth tool. Had a couple of bad experiences with BB, but had to give them another chance, thankfully they came through on this one. The goods I received satisfied me. Super hab die Eleaf iCare schön längere Zeit und kann es nur weiter empfehlen. Meine alte stopfmaschöne möchte ich garnicht mehr benutzen. Eleaf iCare Mini Kit is my favorite mini e-cig for stealth vaping.